Egmont is a small resort community relying on the tourist trade and the various boaters that frequent these waters especially during the summer. If you are coming here by boat, there are two marinas located at Egmont. One is the Bathgate General Store, Resort and Marina, the other is the Backeddy Resort & Marina. 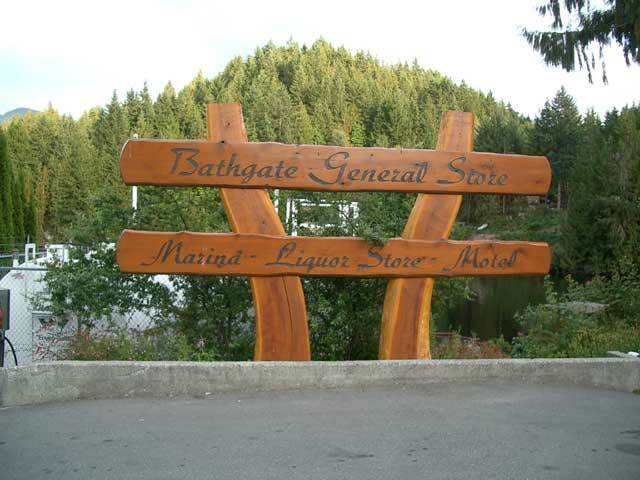 The Bathgate General Store, Resort and Marina is located right on Egmont Road as you enter the community coming from Earls Cove. The nice thing about the Bathgate is the well-stocked general store offering an excellent selection of groceries and hard-to-find hardware items. The Bathgate General Store also has a liquor outlet and there is a resort plus a marina for boaters. 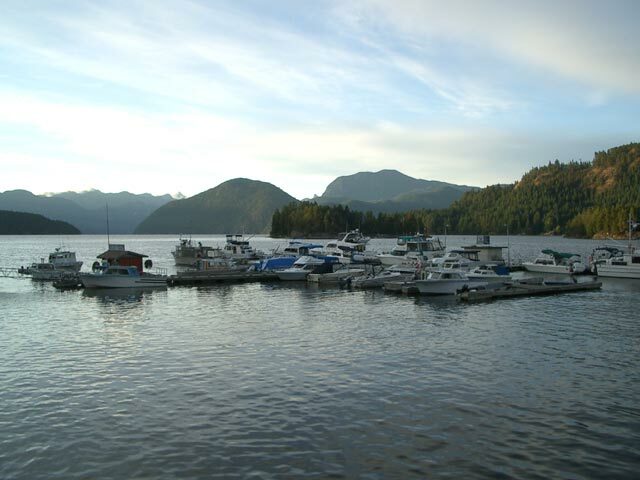 With 600 feet of remote waterfront on the Sechelt Inlet, Egmont's Backeddy Resort and Marina is a waterfront playground. Located at the water's edge, the resort has one of the most breathtaking views of Hotham Sound in Egmont. The resort offers everything from geodesic domes and an RV campground to rooms at the Inn. 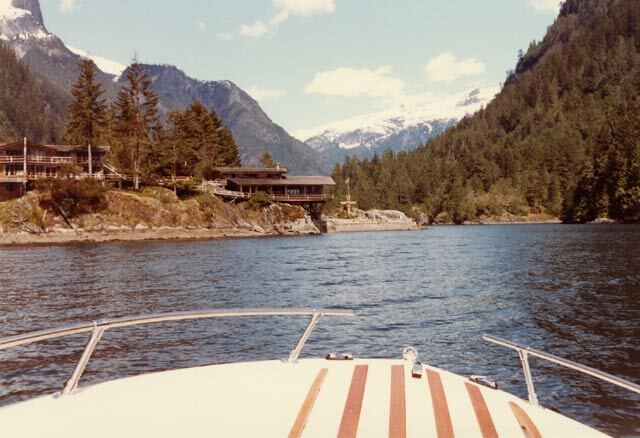 There are also A-frame rustic timber cabins and modern oceanfront cabins, all of which overlook the Sechelt Inlet. Egmont is at the gateway for two incredible areas along the BC Coast. One is the Sechelt Rapids where you can witness the natural occurrence of tidal rapids at Skookumchuck Narrows Provincial Park. 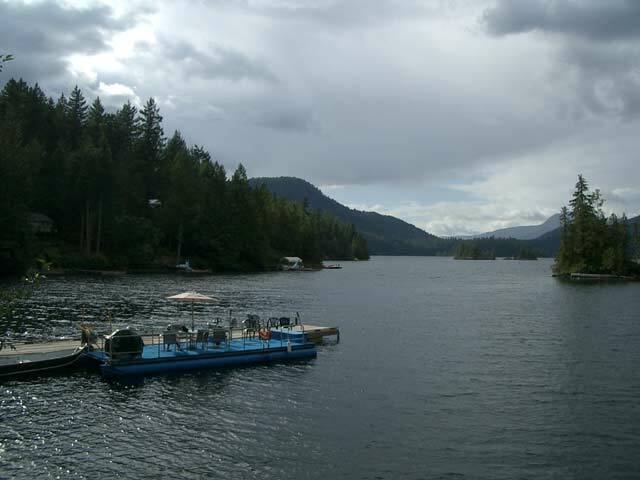 The other is boating up the waters of Jervis Inlet eventually to Malibu and the entrance to Princess Louisa Inlet. There is a trail at Egmont that takes you to the very famous Sechelt Rapids - the fastest and largest salt water rapids in North America. 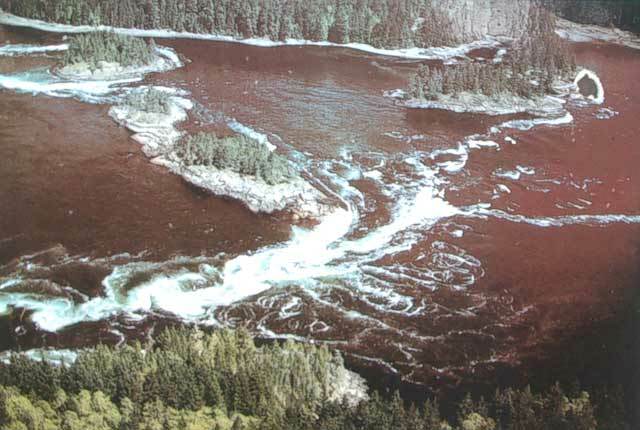 The rapids at Skookumchuck Narrows occur on ebb and floods of the tide change of three inlets: Sechelt, Narrows and Salmon Inlets. Sometimes you can see spectacular rapids up to 5 metres (16 feet) occurring at the very narrow entrance of Sechelt Inlet. The parking lot and trailhead is near the Bathgate General Store, Resort and Marina on Egmont Road at Doriston Hwy directly across from the Egmont Heritage Centre. 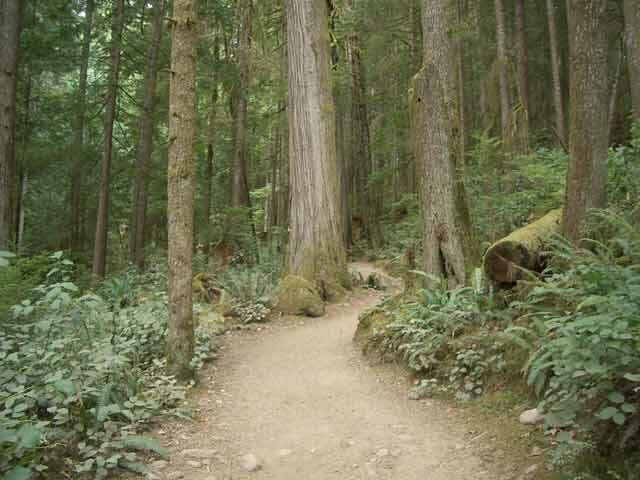 The trail is around 4 km (2.5 miles) to the northern end of the Skookumchuck Narrows through a beautiful forest. You can expect to take around 45 minutes to walk, depending on how long you spend at Brown Lake which is along the way where there is some waterfowl viewing opportunities. Once at Skookumchuck Narrows, there are two viewing areas one best for viewing the flood tide and other for the ebb tide. If you're lucky or have timed the situation well with a very low or extremely high tide you can expect to see swirling eddies, turbulent waves and lots of whirlpools with currents in excess of 30 km (19 miles) per hour. Please check with the current tide tables to time your visit to see this spectacular event or the recommended times compiled by the Sechelt Visitor Info Centre. Going by boat located north-east of Egmont you'll encounter the Prince of Wales Reach, Princess Royal Reach and Queens Reach. Once you're boating halfway down Queens Reach you will find Malibu Club - a Young Life Christian youth camp. 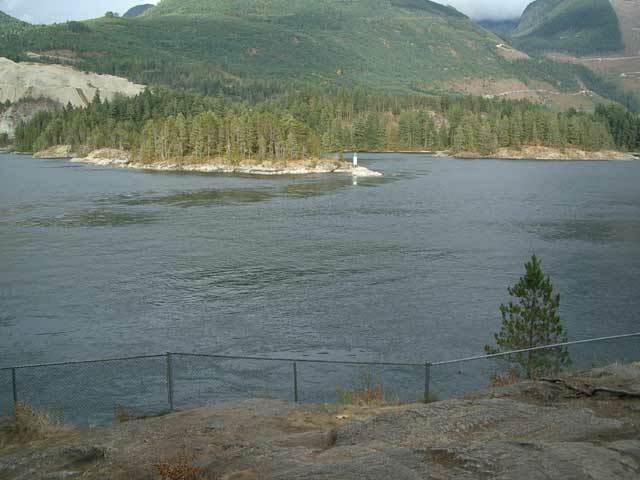 This is the location of another tidal rapid called Malibu Rapids and the entrance to Princess Louisa Inlet. 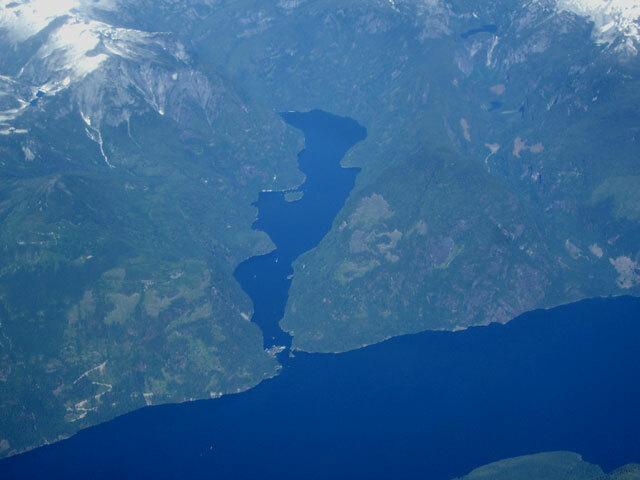 This part of British Columbia's coastline is very unique with sharp peaks and various steep mountains creating a number of waterfalls that cascade into Princess Louisa Inlet. 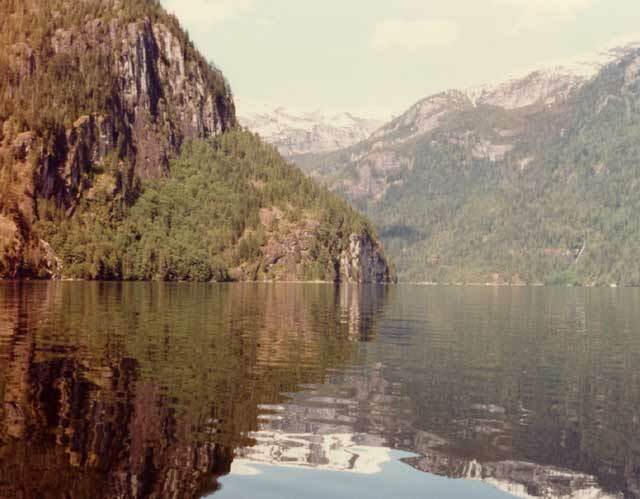 Then once you're at the head of Princess Louisa Inlet, there is the incredible Princess Louisa Provincial Marine Park featuring Chatterbox Falls. 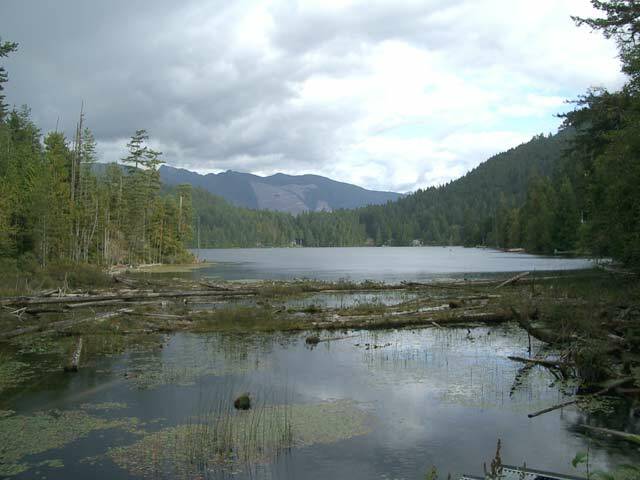 Coming north from Pender Harbour on Hwy 101, before you arrive at Earls Cove, you will pass Sakinaw and Ruby Lakes. Make sure you take the opportunity to visit Dan Bosch Regional Park on Ruby Lake. The park features a very nice sandy beach and has some excellent swimming during the summer time. There is also a section of Dan Bosch that includes Klein Lake that can be reached off Egmont Road near North Lake on your way into Egmont. At Klein Lake there are some camping areas and the lake features some great fresh-water fishing plus the hiking and views of Ruby Lake are excellent. 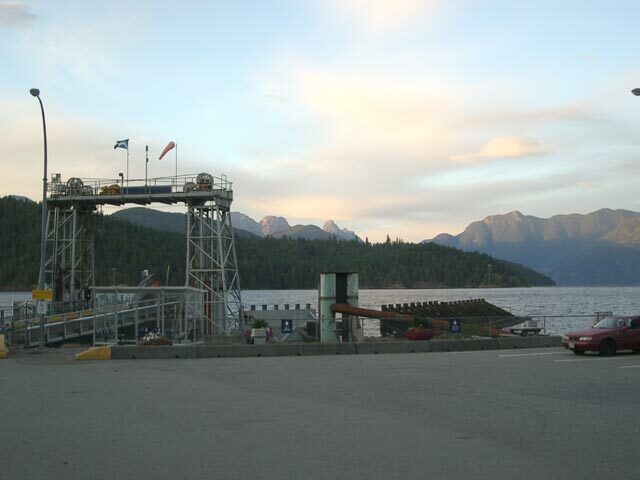 If you are travelling by vehicle to Powell River you have to take a ferry at Earls Cove. The BC Ferries terminal is only 6 km (4 miles) from Egmont. The ferries run every two hours to the terminal at Saltery Bay. Once, over on the other side, Saltery Bay is a good place to see some great southerly views back towards Nelson Island. The nearby Saltery Bay Provincial Park, only a few minutes away from the ferry terminal, has large private campsites and is very popular with scuba divers.